The bow and twist issue on Printed Circuit Board can cause components and parts registration in PCB assembly process, when handling with SMT or THT, if the component pins are positioning not trim, which will bring a lot of difficulties to assembly and installation. IPC-6012 define the maximum bow and twist 0.75% on circuit boards of SMB—SMT, other PCB bow and twist is generally not exceed 1.5%; Electronic assembly plants allow bow and twist (double/multilayer PCB) is usually 0.70---0.75%. As a matter of fact, many rigid PCB boards (board thinness1.6mm) require bow and twist is less than 0.5% such as SMB,BGA; Some factories even require less than 0.3%. The patterning area of outer C/S can be as close as possible, independent grids can be used. 3、Before multilayer PCB pressing, which should pay attention to the longitude and latitude direction of prepreg. 4、Baking before PCB drilling: normally 150 degrees for 4hours. 5、Don't scrub by machine for thin PCB board, suggest using chemistry to clean; and using certain fixture to avoid PCB bending in PCB Plating process. 6. Rigid PCB bending measure: 150 degrees or heating 3-6 hours use smooth steel plate with heavy pressing, baking for 2-3 times. 7. After HASL process, put FR4 PCB on the smooth marble or steel plate to natural cooling down until room temperature. The treasures to deal with warping PCB Board: 150 degrees or heat pressing 3-6 hours, with smooth pressure plate and baking 2-3 times. 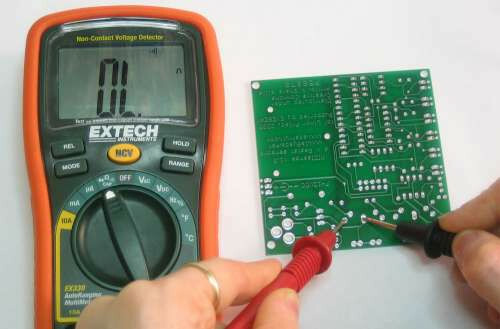 A-TECH CIRCUITS suggest that bow and twist issues not only occur in the pcb manufacturing process, but unreasonable circuit layout from data files will also cause bow and twist, for example, uneven distribution of copper on each layer for multilayer pcb. One more problem that pcb design engineers should pay attention to is stack up, Dissymmetry stack up may cause serious bow and twist issue on final PCB boards, so we always suggest using as symmetric stack up as possible for multilayer pcb.